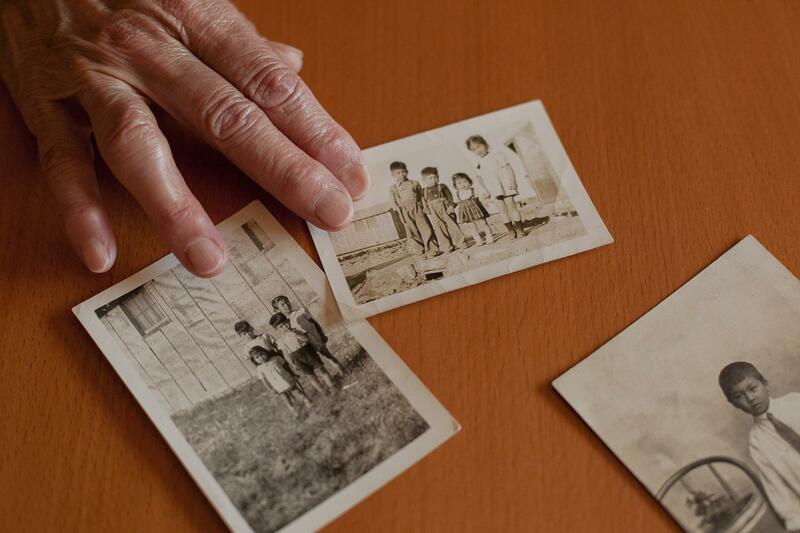 Sharon Sakamoto shows two family photos of Eileen Okada and her other older siblings, who spent part of their childhood living in a barrack behind barbed wire at an Idaho prison camp the U.S. government named the Minidoka War Relocation Center. The third photo is a portrait of their father, Roy Sakamoto, as a young boy. Sharon Sakamoto, 75, was born inside a prison camp after the U.S. government used census data to locate and wrongfully incarcerate people of Japanese descent during World War II. 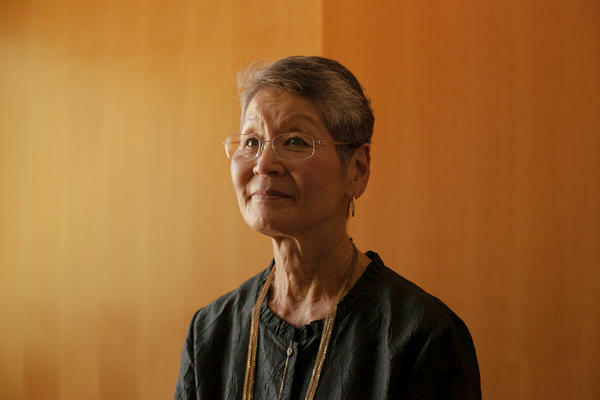 She and her sisters are among the Japanese-Americans who are speaking out against the citizenship question the Trump administration plans to add to the 2020 census. Former Commerce Secretary Norman Mineta walks past a guard tower at the site of a former prison camp near Heart Mountain, Wyo., where he and his family were wrongfully incarcerated during World War II. 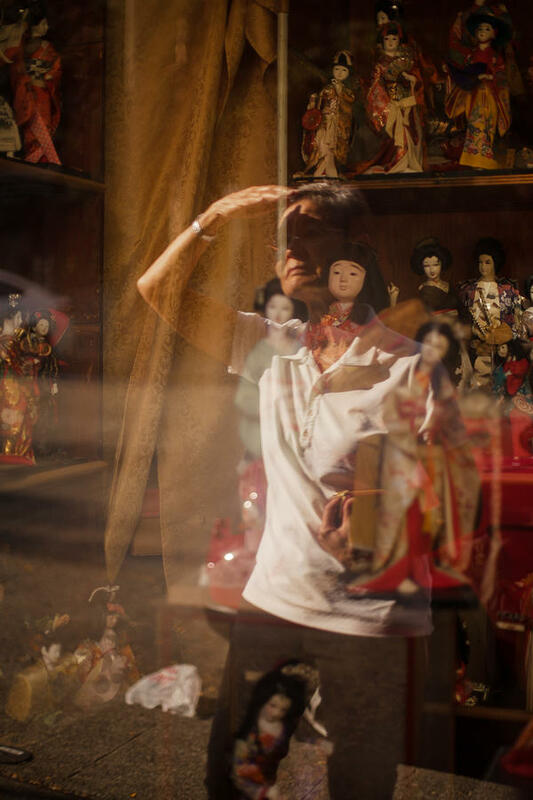 Sharon Sakamoto looks at a display of Hinamatsuri, or Girls' Day, dolls at Seattle's Chinatown-International District. Sakamoto has memories of her mother displaying traditional ornamental dolls to celebrate Girls' Day and Boys' Day. "I think we have to be watchful," says Sharon Sakamoto, a retired attorney who fears the U.S. government may misuse information collected by the Census Bureau. Life for Okada's family was upended months after Japan attacked the U.S. naval base at Pearl Harbor in Hawaii during World War II. The U.S. government responded to the attack, in part, by using Census Bureau information to determine where Japanese-Americans lived on the West Coast in order to remove them from their homes and imprison them. "The most important single source of information prior to the evacuation was the 1940 Census of Population," wrote U.S. Army Lt. Gen. John DeWitt, who advocated for and directed the mass removal of Japanese-Americans from the West Coast, in a 1943 report for the War Department. Under an executive order signed by President Franklin Roosevelt in February 1942, the government rounded up about 120,000 people of Japanese descent, mainly U.S. citizens. They were wrongfully incarcerated at fairgrounds, racetracks and remote prison camps that have been euphemistically called "relocation centers" and "internment camps." In a formal apology passed by Congress in 1988, lawmakers said the "grave injustice" was motivated by "racial prejudice, wartime hysteria, and a failure of political leadership." 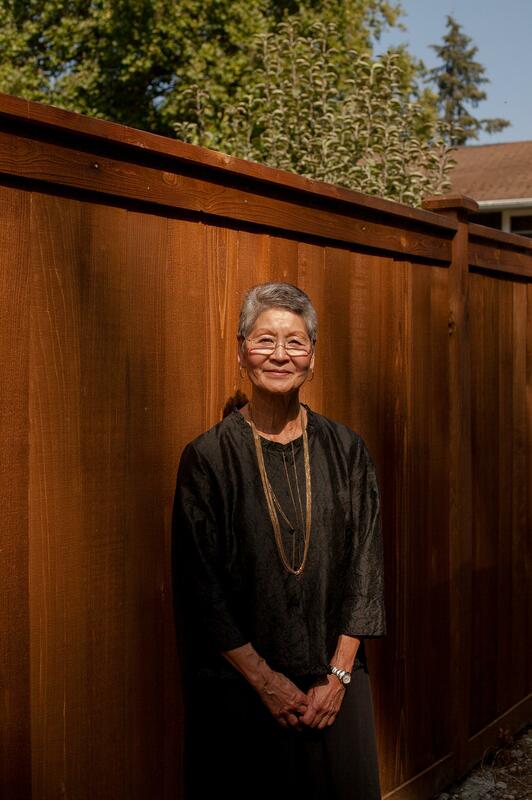 Okada says her family recently learned about the Census Bureau's role in locating her family. Along with her parents, two brothers and a 6-month-old baby sister, Okada ended up in a horse stall on what's now known as the Washington State Fairgrounds in Puyallup, just south of their home in Seattle. Later, they were uprooted again to a prison camp in Idaho that the government named the Minidoka War Relocation Center. Okada's mother gave birth to another daughter while living in Minidoka. "I remember asking my mother why we were here," Okada recalls of her time growing up in Minidoka. "She simply said, 'Because we're Japanese.' I remember thinking it was not good to be Japanese, and I carried that for a long time." Now, Okada and her two sisters, who share their maiden name Sakamoto, are speaking out against a citizenship question the Trump administration plans to add to the 2020 census. The Sakamoto sisters say they fear including a question about U.S. citizenship status could result in another misuse of the U.S. census. "The consequences of adding this question are far too great to just sit by silently," says Sharon Sakamoto, 75, who was born in Minidoka. 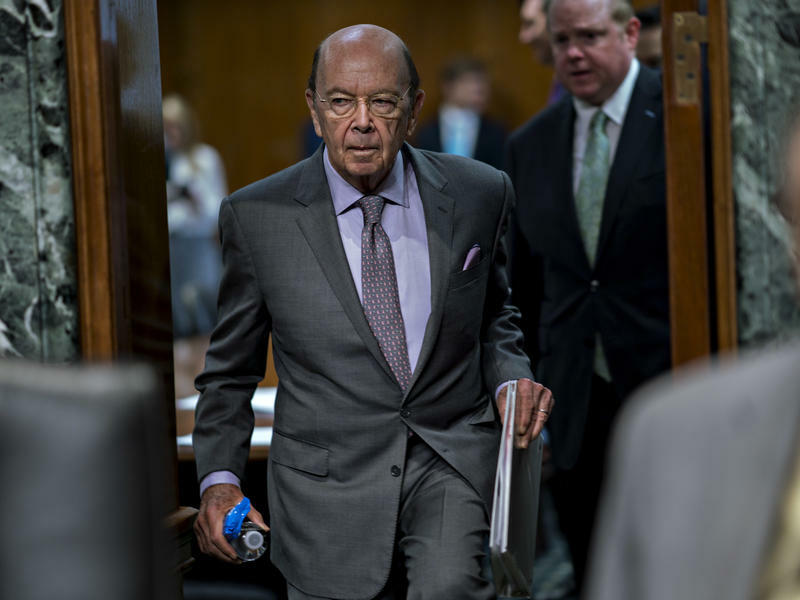 "The Court should remember the history"
The Trump administration insists Commerce Secretary Wilbur Ross, who oversees the census, added the controversial citizenship question so the Justice Department can better enforce provisions in the Voting Rights Act. That act protects racial and language minorities from discrimination. But more than two dozen states and cities, plus other groups, are suing for the removal of the question, which Census Bureau research suggests is likely to scare households with noncitizens from taking part in the upcoming national head count. Although the citizenship question does not ask about immigration status, focus group participants in a national study commissioned by the Census Bureau reported that they believe the question was intended to help the government find undocumented immigrants. An undercount of every person living in the U.S. could have long-term consequences on political representation and federal funding. The population numbers from the 2020 census will be used to determine how congressional seats and Electoral College votes are redistributed among the states through 2030. The count will also determine how an estimated $800 billion a year in government funding for Medicare, schools and other public services is divvied up. "The Court should remember the history of the government's conduct in the Japanese American incarceration cases when it evaluates whether Secretary Ross's decision to add a citizenship question to the census was motivated by a desire to harm Latinos and immigrants of color," wrote attorneys representing the Sakamoto sisters, the Fred T. Korematsu Center for Law and Equality and other organizations in an amicus brief filed in support of the plaintiffs in the citizenship question lawsuits based in New York. They're joined in their opposition to the citizenship question by another survivor of the Japanese-American incarceration — former Commerce Secretary Norman Mineta. 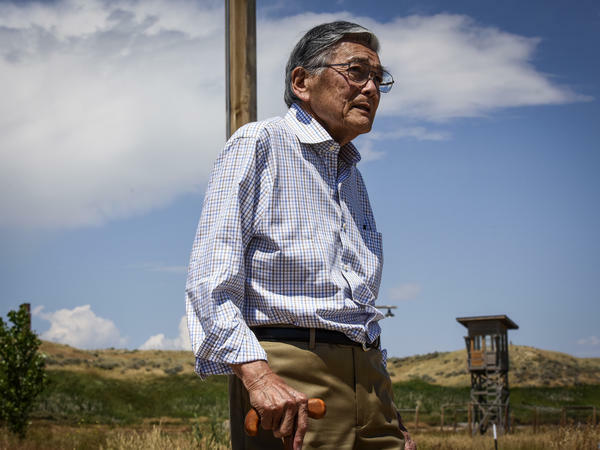 As a 10-year-old, Mineta was imprisoned with his family at the Santa Anita racetrack in Southern California and then moved to a Wyoming prison camp named after nearby Heart Mountain. Decades later, as a Democratic representative from California, Mineta helped push for a formal apology from Congress through the Civil Liberties Act, which also offered $20,000 in reparations to each survivor. Now retired, Mineta, 87, says he considers the Trump administration's using the Voting Rights Act to justify its decision to add the citizenship question as "nonsense." He is concerned that asking about citizenship on the 2020 census was intended to scare immigrants. "One of the things it does is intimidate people," he says. "All I could think of was what it was like for [Japanese-American] evacuees to be facing a census and whether or not that information could be used." "The historical record is clear"
The Census Bureau's public information office did not respond to multiple requests for comment about the amicus brief. NPR has also reached out to the Commerce Department, which oversees the Census Bureau, and to the Justice Department, which is representing the administration in the citizenship question lawsuits. Both agencies declined to comment on the brief. During a speech in October about the 2020 census, Ross addressed the issue of confidentiality. He highlighted long-standing federal law put into place after World War II that prohibits Census Bureau employees from releasing information identifying individuals until 72 years after the data are collected. 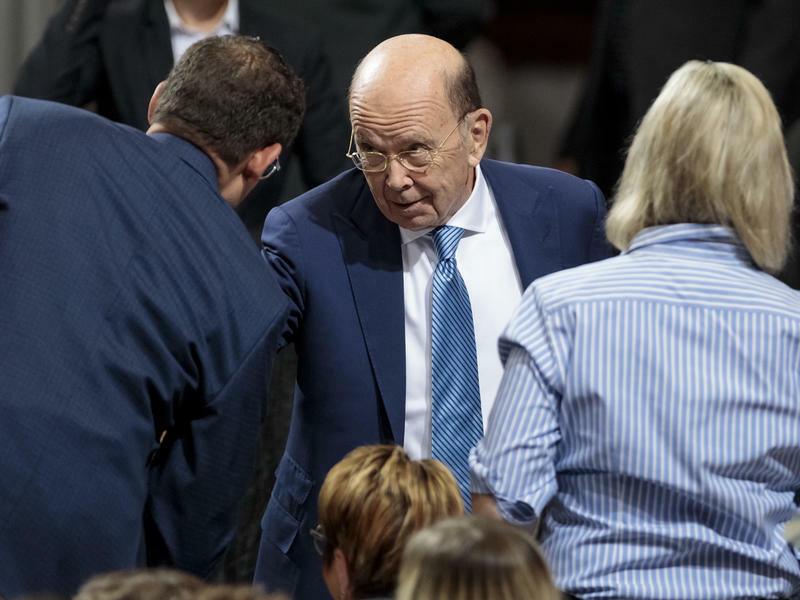 "That means they cannot share census data with any other government agency or government officials, including those working at IRS, FBI, ICE, DHS or local and state law enforcement agencies," Ross said during his talk in Washington, D.C. The Census Bureau can release anonymized information about specific demographic groups. That's what government officials used during World War II to pinpoint Japanese-American populations in California, Oregon and Washington, according to research by census historian Margo Anderson and statistician William Seltzer. In response to a working paper that Anderson and Seltzer presented in 2000 at the Population Association of America's annual meeting, the then-director of the Census Bureau, Kenneth Prewitt, issued an apology on behalf of the agency. "The historical record is clear that senior Census Bureau staff proactively cooperated with the internment, and that census tabulations were directly implicated in the denial of civil rights to citizens of the United States who happened also to be of Japanese ancestry," Prewitt wrote. Later, research Anderson and Seltzer released in 2007 confirmed long-held suspicions among some Japanese-Americans that after the attack on Pearl Harbor, the bureau also released confidential census information identifying individual people of Japanese descent. Internal government documents uncovered by the researchers show that as part of an investigation for the "protection" of Roosevelt, the Census Bureau gave the Secret Service in 1943 a list of the names, addresses, citizenship status and other personal information of people of Japanese ancestry living in the Washington, D.C., area. Releasing the data was legal at the time, Anderson and Seltzer note in their 2007 working paper, because the Second War Powers Act had temporarily suspended the confidentiality of census information identifying individuals "for use in connection with the conduct of the war." Okada, who spent years in a prison camp in Idaho, says this history underscores her worries about how citizenship information collected for the 2020 census could be used for other purposes beyond Voting Rights Act enforcement. "I don't trust that they would not use that information for other reasons," she says, referring to the Trump administration. "When you say 'national security,' they think it pretty much means anything goes." "We have to be watchful"
A recently disclosed Justice Department email has raised questions about the Trump administration's position on whether individuals' census responses could be released to law enforcement or national security officers under the Patriot Act, which was enacted after the Sept. 11 terrorist attacks. During the Obama administration, the Justice Department released a memo in 2010 stating that no part of the Patriot Act could force the commerce secretary to release census information identifying individuals for nonstatistical purposes or outside the Commerce Department, including the Census Bureau. 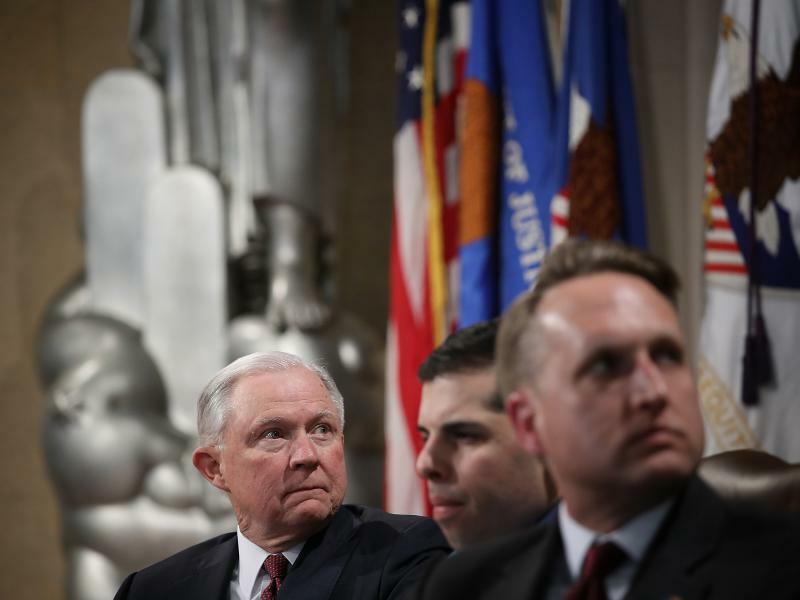 A now-former Justice Department official in the Trump administration, however, suggested in a June email that the issue may "come up later for renewed debate." Now, some Democrats in Congress, including Sens. Brian Schatz of Hawaii, Cory Booker of New Jersey and Jack Reed of Rhode Island, are asking the Trump administration to clarify its position on the issue. However that debate turns out, Sakamoto says, she plans to stay vigilant about what happens to the citizenship question — an issue the Supreme Court is expected to take on in the new year — and about the possibility of her family's history playing out again in the U.S.
After they were released from the Idaho prison camp, Sakamoto's parents continued to raise her and her siblings to respect their country and their government, she says. "I keep wanting the words 'justice for all' to work," says the retired attorney. "Just because we say 'justice for all,' I have to still look at how we're functioning and how we're acting. I think we have to be watchful." There's a legal battle growing over a controversial new question on the 2020 census. It asks, is this person a citizen of the United States? A ruling in one of the lawsuits over the question is expected soon from a federal judge in New York. Critics of the question have been speaking out for months, including a group of U.S. citizens of Japanese ancestry. NPR's Hansi Lo Wang has their story. HANSI LO WANG, BYLINE: Eileen Okada was 5 years old when the U.S. government forced her and her family to live in a stall made for horses. EILEEN OKADA: I remember the stench. They cleaned it out, of course, but didn't scrub it down. The smell was still there. WANG: This was in 1942, months after this attack upended life for families like Okada's. UNIDENTIFIED PERSON: We interrupt this program to bring you a special news bulletin. The Japanese have attacked Pearl Harbor in Hawaii by air, President Roosevelt has just announced. WANG: The U.S. government responded, in part, by allowing confidential Census Bureau data identifying individual Japanese-Americans to be released to other federal agencies during World War II. The Census Bureau also provided information about where Japanese-Americans lived. That information was not confidential and was used to round up around 120,000 people of Japanese descent, mainly U.S. citizens. They were wrongfully locked up at fairgrounds, racetracks and, eventually, remote prison camps. OKADA: I remember asking my mother why we were here. She simply said, because we're Japanese. I remember thinking it was not good to be Japanese, and I carried that for a long time. WANG: It was a kind of experience that was also part of the childhood of former Commerce Secretary Norman Mineta. He remembers asking his older brother to explain posters he saw in their neighborhood about what the government called the evacuation of all persons of Japanese ancestry, quote, "both alien and non-alien." NORMAN MINETA: And I said, what's non-alien? And he said, that's you. My own government - the government of the United States of America wouldn't call me a citizen. WANG: The federal government has formally apologized for actions that it said were motivated by racial prejudice and wartime hysteria. But Mineta says he and other survivors still worry that confidential census information could be misused again. That's why Mineta, Eileen Okada and her two sisters joined a friend of the court brief for the citizenship question lawsuits in New York. The Trump administration insists the question was added to the 2020 census to better protect the voting rights of racial minorities. But Mineta says he's concerned asking about citizenship on the census was intended to scare immigrants. MINETA: One of the things it does is intimidate people. All I could think of was what it was like for evacuees to be facing a census, and whether or not that information could be used. 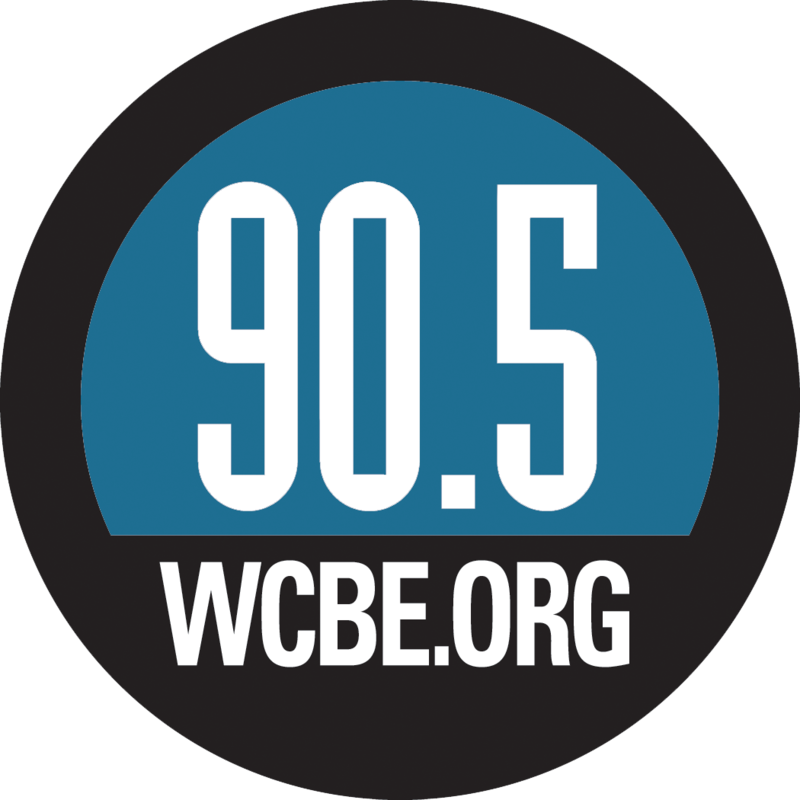 WANG: NPR has reached out to the Commerce Department, which oversees the Census Bureau, and to the Justice Department, which is representing the administration in the citizenship question lawsuits. Both declined to comment on the friend of the court brief. But during a recent speech, Commerce Secretary Wilbur Ross addressed the confidentiality issue. He stressed there is long-standing federal law that prohibits the Census Bureau from releasing information identifying individuals until 72 years after the data are collected. 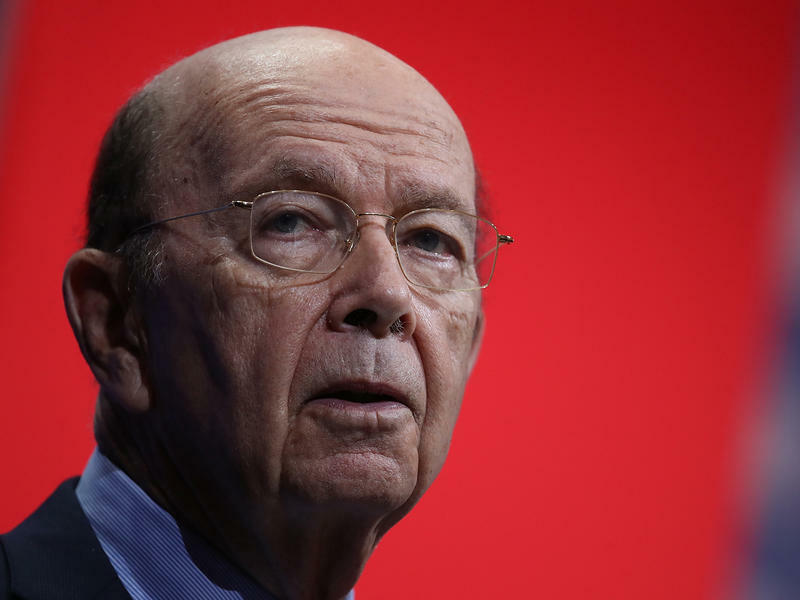 WILBUR ROSS: By law, the census is strictly confidential - strictly confidential. WANG: But Sharon Sakamoto, one of Eileen Okada's sisters, remembers this has not always been the case. Sakamoto was born inside a prison camp in Idaho after the government forced her family to leave Seattle. SHARON SAKAMOTO: I keep wanting the words, justice for all, to work. WANG: After her family was released, Sakamoto says her parents continued to raise her and her siblings to respect their country and their government. SAKAMOTO: Just because we say, justice for all, I have to still look at how we're functioning and how we're acting. I think we have to be watchful. WANG: Sakamoto says she'll be watching to see what happens to the citizenship question. It's an issue the Supreme Court is expected to take on in the new year. Hansi Lo Wang, NPR News. The City of Columbus has joined a multi-state lawsuit - led by New York - seeking to block the Trump Administration from adding a citizenship question to the 2020 Census.